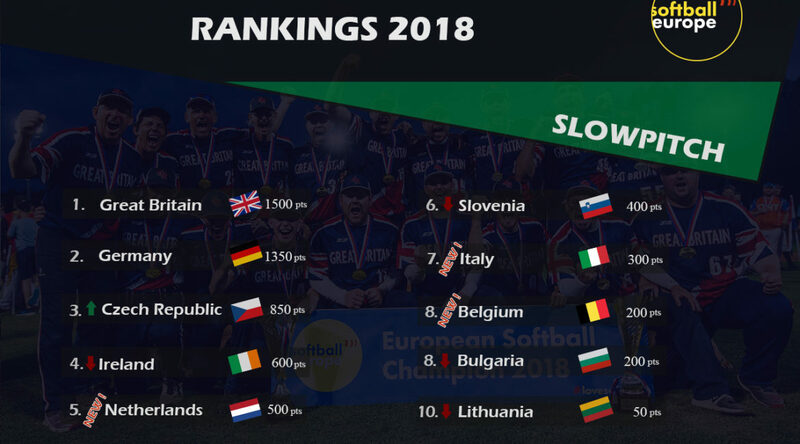 Ireland have lost third spot to the Czech Republic and dropped one spot to fourth in the European Slowpitch rankings issued on November 25, 2018 a reverse to what happened in 2017. Ireland’s 7th place finish at the Men’s European Championships coupled with the Czech Republics 4th place finish sees Ireland trail Czech Republic by 250 points as we go into the 2019 European Co-ed Championships. 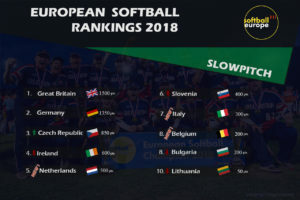 Ireland will head the the European Championships that it can reverse the situation once more as they push for a European medal and automatic qualification to the inaugural WBSC Co-ed Slowpitch World Cup in 2020.